College Plans to Install Preventative Measures in Light of Recent Burglaries | The Gettysburgian. 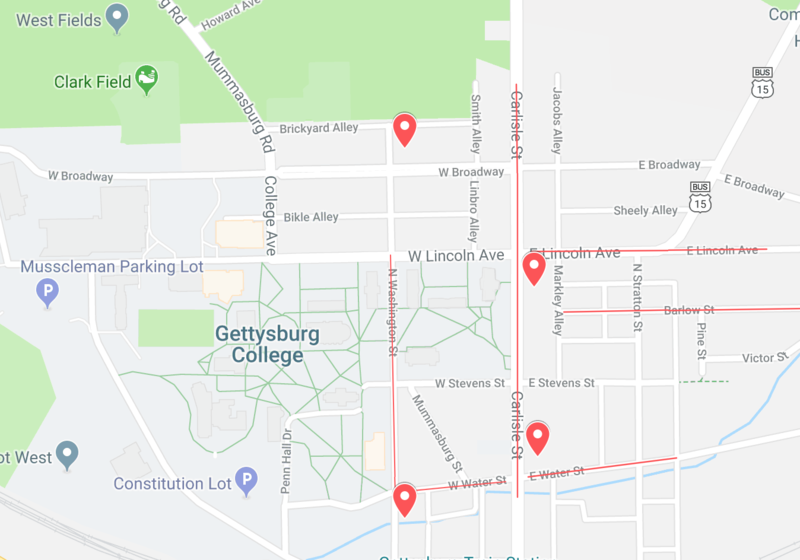 Over Thanksgiving and Winter break, a series of burglaries took place on and adjacent to the Gettysburg campus, including in residence halls and off-campus housing for Gettysburg College students. On Dec. 26, William Lafferty, Executive Director of Public Safety sent an update to the burglaries, announcing that a person involved in the recent burglaries that occurred over winter break had been arrested by Gettysburg Borough Police (GPD). Joshua Wyatt, the alleged perpetrator, was found burglarizing the 223 Carlisle Street residence hall on Dec. 24. However, it still remains unclear whether Wyatt worked alone, whether all of the burglaries between Thanksgiving break and Winter break were connected, and whether Wyatt was involved in other incidents. Wyatt is currently incarcerated as he was unable to post bail. He is awaiting his formal arraignment in late February on five charges: burglary, conspiracy, criminal trespassing, theft by unlawful taking, and receiving stolen property. “The active police investigation continues in an attempt to understand the full scope of this person’s accountability. At this point in the process, a direct link has not yet been determined,” Lafferty explained to The Gettysburgian. During Thanksgiving break, many houses on the perimeter of the college were burglarized, including 155 N. Washington Street, often known as “Blue Porch.” According to a resident of the house, the burglar gained entry through back door and broke the latches off of every locked rooms door. The residents have only reported theft of cash that was around the house. The resident of the house who spoke to The Gettysburgian reported losing between 75 and 125 dollars. (The Gettysburgian does not identify the victims of crimes, so the resident’s name is being withheld.) The house latches have been since repaired and Gettysburg Borough Police is investigating. Wyatt has not been charged with any crimes relating to this incident. Lafferty said the college is working to rectify the situation as GPD investigates the burglaries further.